At some point on your journey to becoming a fully fledged runner, you’ll need to carry a supply of water with you. Unless the conditions are extremely hot, this is likely to be at the point when you are running for an hour or more. The simplest water bottles are tough but lightweight plastic with a typical capacity of 500 ml. Enter a few races and sooner or later a free one will turn up in your finishers’ prize bag; enter a lot of races and you’ll find you accrue quite a few of these. If you do need to buy a water bottle, look for ones that are marked as being dishwasher safe, so that they can be thoroughly cleaned after use – water bottles left to fester are a haven for bacteria. Always look for bottles marked ‘BPA-free’ – BPA (bisphenol A) is a compound found in older bottles, or some cheaper imported bottles, and is believed to have adverse health effects. Because a regular bottle can be difficult to grip on the run – particularly in sweaty hands or with gloves – many bottles are contoured for an ergonomic grip. Fancier ones are constructed in an elongated loop design, in which the water fills the handle as well as the bottle. These are often available in smaller capacities, generally 250–300 ml, and can be excellent for shorter runs in hot weather. Bottles with flip tops and integrated straws that draw water up from the bottom of the bottle make it unnecessary to have to tip the bottle to drink. They are usually intended for use with running backpacks, which are designed to fit one (sometimes two) bottles in loops or pockets built into the straps. This more technical design adds to the overall weight of the bottle. Soft, flexible bladders are designed for use in specialist running backpacks or belts. They offer several advantages over bottles that need to be carried by hand. Generally they have a larger capacity (2 litres or more), making them best suited for longer runs such as marathons, or for extended trail and adventure running. Because they are flexible, they mould to the contours of the hips or back for maximum comfort. Integrated ‘feed tubes’, which can be clipped to a running top, mean that water is always at hand (or mouth), and this encourages more frequent hydration. Look for a bladder that incorporates an antibacterial compound to ensure that the water you carry is always safe to drink. Top Tip: Carefully wash out the bladder after use, then store it in a freezer to prevent the build-up of bacteria. Remember to thaw fully before using. With longer runs comes the need for nutrition as well as hydration, and in most practical terms this means gels, bars or similar running snacks. A run of up to 90 minutes will probably require little more than a single gel (in which case, a small pocket in your shorts or shirt will be adequate), but half-marathons and beyond will certainly need multiple gels and bars. One of the best solutions for carrying gels and bars is an elasticated race belt. This comprises little more than a double twist of elasticated material, which secures around the waist and allows the gels to be tucked through the loops of fabric. These belts weigh next to nothing and can cost as little as £5/$8. Some feature a small extra zip pocket for storing keys. If you opt for a bum bag/fanny pack to carry your running snacks, look for a sports-specific make. These will cost around £25/$40, but they are low-profile – designed to sit close to the back to minimize bouncing, which can become unbearable over time. Weight is important, but look to balance this with some degree of padding on the side that will be pressed against your back/bottom. Choose a bum bag that fits just the number of gels you need – excess space leads to a temptation to overfill with things you almost certainly will not need. Running magazines are often awash with adverts for running belts that come complete with a range of energy gels, recovery bars and other sports-nutrition products designed to get you through a marathon. Unless you are absolutely sure that these are products you know and like, they are best avoided. Every runner has different needs and tastes, so a one-solution-fits-all belt is unlikely to be value for money. Top Tip: Backpacks and bum bags are likely to be worn for long periods. Always try before you buy – ideally test a friend’s pack and really put it through its paces. Running with a backpack might seem to be going against the purity of stripped-down exercise, but there are many good reasons to consider one. Running to and from work is becoming increasingly popular as a way to stay fit whilst avoiding high travel costs and time wasted in congestion. And as your running distances increase, you may want to carry more kit with you. Although considerably more expensive than normal backpacks or rucksacks (around £60–150/$90–240), sports packs are specifically designed to be comfortable, durable and to have weight distribution that takes the motion of running into account. Make sure that the straps are flat and comfortable, and if they have a larger capacity – and are thus likely to be heavier when fully loaded – ensure that they incorporate a chest (or sternum) strap to take some of the load away from the shoulders and hips. Never be tempted to overload a backpack – neck, shoulder and back problems can result from excessive weight. A variety of other features may be included, but chief amongst these should be reflective visibility strips on both the back and front straps. Top Tip: Female-specific backpacks are available, generally with a shorter length and ergonomically designed for a smaller frame. 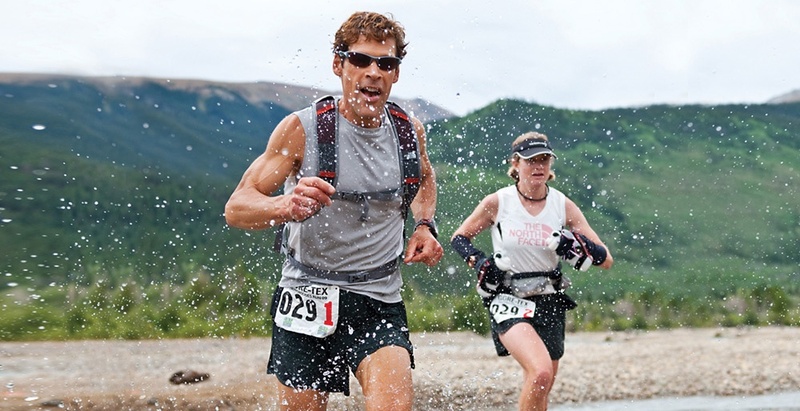 Most running packs will either incorporate a water bladder or have somewhere to store a bottle. Check that your water will be easily accessible; water carried but not drunk is dead weight and dehydration can be dangerous. Need vs. want: How worthwhile is the latest gadget? Make sure your money is well spent and avoid buying something that just looks good. Stay hydrated: Make sure you can safely and comfortably carry enough water for a run. Consider the wide range of hydration solutions carefully. Pack fit: From bum bags to full race packs, make sure you can comfortably carry all your food and water, but never overload yourself when setting off for a run. Have a look at 10 specific running gadgets that might help you here. You might enjoy these funny running stories, just click here.